The Philippines government has wasted little time rolling out its new Comprehensive Automotive Resurgence Strategy (Cars) programme with car-makers and auto parts manufacturers in the Philippines automotive sector last week briefed on the initiative. 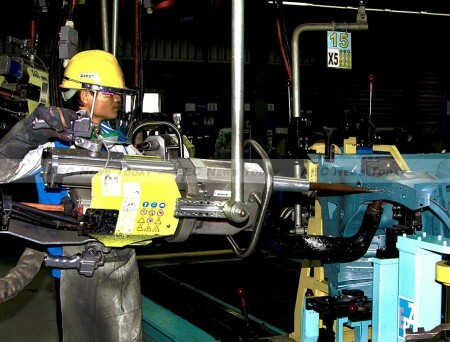 The Cars programme was signed by Philippines President Benigno Aquino on May 29 (Executive Order (EO) 182) and seeks to reinvigorate the Philippines flagging Philippines automotive sector and breath new life into the automobile assembly and auto-parts industries. It is hoped that up to 200,000 new jobs will be created as a result of the Cars programme, with US$590 million in new manufacturing investment targeted. 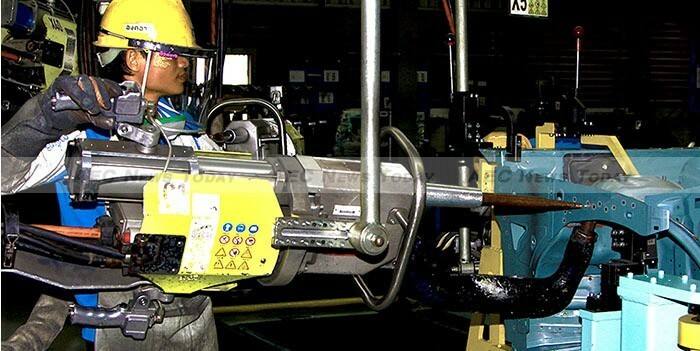 Up to three manufacturers will be sought to participate in the Cars programme with each being eligible for up to $197 million in financial relief by way of tax payment certificates to defray tax and duty obligations. and be fuel efficient as well as comply with emission level standards determined by the Philippines Board of Investments (PBoI). Participating auto manufacturers and parts suppliers will also receive incentives for setting up a shared testing facility, the absence of which is a handicap to local manufacturers breaking into export markets. Speaking at an industry briefing on the Cars programme Philippines Department of Trade & Industry (DTI) undersecretary and Philippines Board of Investment (BOI) Managing Head Adrian S. Cristobal Jr said, “the programme aims to jump start the revitalisation of the Philippines automotive sector, improve its competitiveness and elevate the country into an auto manufacturing hub in the region”. The DTI estimates the Cars programme will add up to 1.7 per cent to Philippines GDP and provide up to $6.5 billion in economic stimulus. While the Philippine’s automotive sector is small compared to other Asean counterparts such as Thailand, figures from the National Statistical Coordination Board show that in 2014 the Philippines automotive sector contributed 12 per cent of industrial output and 4 per cent of GDP. It is expected some 90,000 light vehicles will be produced in the Philippines this year compared with 2.14 million in Thailand and 1.3 million in Indonesia. According to the Chamber of Automotive Manufacturers of the Philippines (Campi), the automobile industry began 2015 with record sales in January with sales up 19.3 per cent year-on-year (YoY). According to Campi total new vehicle sales grew by 29.5 per cent in 2014 to reach 234,747 units, compared to 181,283 in 2013. The data, which comprises 19 marques, showed that Philippines passenger vehicle sales in 2014 increased by 47.8 per cent to reach 90,287 units, while commercial vehicle sales surged 20.2 per cent to 144,460 units. 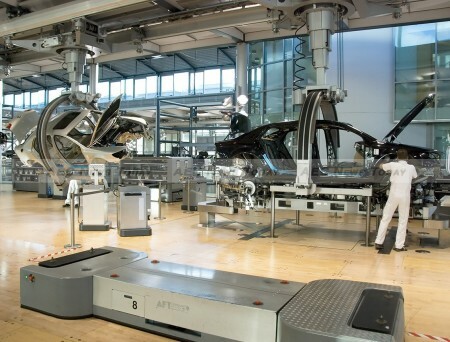 The country’s automotive industry received a much needed boost in April this year when German car marker Volkswagen announced its intention to invest US$200 million to construct a new assembly plant and, ultimately, a regional production hub to produce up to 100,000 units yearly. According to John Philip Orbeta, president and ceo of Volkswagen Philippines, the first phase of the project will be investing up to $50 million in a ‘completely knocked-down’ (CKD) facility which will construct automobiles for ‘kits” manufactured outside the country and imported for assembly. Domestic manufacturing will come later, he said. At the time Mr Orbeta said that the plan could only be realistic if the Philippines government extends its soon to expire tax incentive policy on foreign companies. “An additional $150m million is set to be invested in manufacturing if we can get to the second phase”, he said. In February of this year Volkswagen, the world’s biggest automobile maker, received approval from Thai authorities to build a €1 billion (US$1,085 billion) manufacturing plant with a capacity of 300,000 fuel efficient cars per year near Bangkok – more than 10 months after applying. The company has refused to comment on whether the Thailand project will proceed. In Southeast Asia it produces its Passat, Polo and Jetta models in Malaysia in conjunction with a local partner. 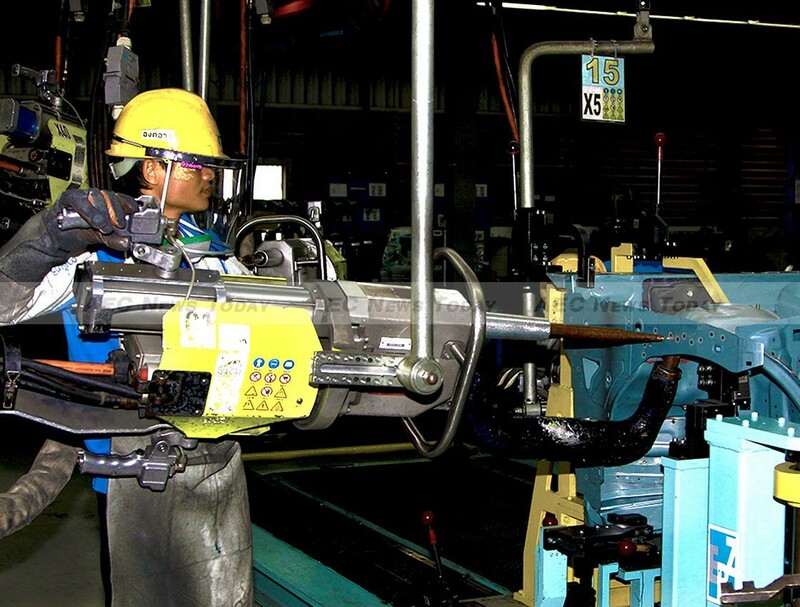 In Indonesia it is constructing a $140 million factory in Cikarang, West Java to cater to Indonesia’s increasing demand. In the first quarter of 2015 Toyota Motor Philippines held 46.7 per cent of the Philippines automobile market, while Mitsubishi was a distant second with 19.2 per cent. Ford Motors held 8.8 per cent, while Isuzu held 7.5 per cent, and Honda 6.3 per cent share of the Philippines motor vehicle market. In 2013 and 2014 Philippines manufacturing grew at an average rate of 9.2 per cent, while foreign direct investment (FDI) increased by $6.2 billion in 2014, considerably less than regional giant Thailand where 2014 FDI totalled $12.6 billion and Vietnam which saw $8.9 billion.